As education has grown into the institution that is known today, more students are being prepared at an earlier age. Students who used to learn the basics of letters and counting in kindergarten are now being asked to do it in preschool. In most cases, preschool is needed to offer the basics for those who may not receive that basic education at home. Preschool is thought to prepare students to be lifelong learners. In addition, preschool and early education programs help students build social skills in working and playing with others. A degree in early childhood education can be gained at a certificate, associate's, bachelor's, master's, or doctoral level. Though a preschool/kindergarten certification still exists in some areas, the majority of programs are specific to preschool only. Many people prefer to go the certification route. Numerous colleges offer a certificate in early childhood education. Although the certification programs do not result in a degree, the credits can later be used towards a degree if future education is desired. In addition, a specialized field known as preschool special education is available. Since online students are not required to physically attend class on a college campus, they are able to maintain a desired amount of flexibility in their schedules. Online students have the opportunity to complete coursework whenever and wherever. This is essential for working students, since they will not be required to restructure their work schedules. Online schooling allows students to partake in a degree program, regardless of their geographic location and proximity to school. This increases the amount of opportunities available to a prospective students. Since students do not need to choose a program based on campus location, they have more degree plans to choose from. No costs associated with room and board, commuting, on-campus meals, relocating, and parking passes. Online students will not need to quit their job or dramatically decrease the amount of hours they work. This allows students to maintain a source of income. With online degree programs, students are able to continue making money without having school impede on their work schedule. FAFSA can still be of assistance when attending an online college or university. Many online early childhood education degree programs are self-paced. With that said, students find it possible to complete requirements faster than they would at a traditional college. Most brick and mortar colleges and universities offer classes in the fall and spring with limited classes in the summer. On the other hand, online schools usually allow students to complete classes all throughout the year. If a condensed time-frame is something that interests you, be on the lookout for accelerated online degree programs. Before choosing an online degree program, it is imperative to know that the school you wish to enroll in is accredited and reputable. Accreditation is a process of authentication of which a college or university is evaluated. After a school or program has successfully been evaluated by a board representing the field, they can be deemed accredited. Accreditation status can usually be seen on school or college websites. You can learn more about accreditation here. Deadlines and accountability markers to help students stay up to date and on top of their work. You may find an organized sequence of assignments, presentations, tests, quizzes, forum participation requirements, and reading reflections. Depending on the degree level, there should be a cumulative exam, thesis, dissertation, portfolio, or final project. If your goal is to work with young children, but do not wish to earn a degree, an early childhood education certificate may be right for you. Do keep in mind that the credits earned during this type of program can be transferred to a diploma, should you seek further education in the future (such as as as associate's degree or a bachelor's degree). Each program will have their own requirements for admission into an ECE certification program. However, a common requirement is the possession of a high school diploma or a GED certificate. Most programs will also require applicants to be at least 18 years old. The length of this program will vary from school to school. However, many certification programs for Early Childhood Education can be completed in one short year. Some schools are constructed around a quarter system while others on a semester system. With both cases, the average time to complete an ECE certification program is about one year. This is about half of the time it would take to earn an Associate's Degree in Early Childhood Education. Certification in early childhood education trains individuals who are interested in working with young children, without earning a degree. With this certification, candidates will be prepared to take on many entry-level positions in schools, child care centers, and other organizations that work with young children. Some even get a specialized certification in Montessori teaching. Many take on careers as teaching assistants, childcare aides, early intervention therapists, and in-home teachers. Learn more about a certificate in early childhood education. In order to gain acceptance into an accredited Associate's Degree in Early Childhood Education program at a college, one must have graduated from high school and have been accepted into the college. Most colleges will often require letter(s) of recommendation, payment of fees, and a completed application. Some colleges may even require a background check. The NAEYC commission on early childhood maintains a list of accredited Early Childhood Associate's Degree programs. The average length of time needed to complete an Associate's Degree in Early Childhood education is two years. Of course, this time can be altered depending on your class load. The more classes you take a quarter/semester, the quicker you can complete the program requirements. If full class loads are taken each semester, often considered 12 units, then 4-6 semesters is the likely amount of time it would take to complete the program. After earning an Associate's Degree in Early Childhood Education, many go on to careers as child care workers, preschool teachers, associate teachers, and infant/toddler teachers. If you are interested in becoming a preschool teacher, visit our Preschool Teacher Career Page to learn more. Learn more about an Associate's Degree in Early Childhood Education. As with most bachelor's degrees, a degree in early childhood education requires admittance into an accredited college or university, proof of a high school diploma, letter(s) of reference, and a completed application. Some colleges will also require proficiency exams and a background check prior to beginning education classes. The average length of time needed to complete a Bachelor's is around 3 to 5 years. If full class loads are taken each semester with summers off then four years is the likely amount of time. Earning a Bachelor's Degree in Early Childhood Education can lead to an entertaining and long term career within the school system, as a preschool teacher, day care provider, elementary school teacher (with certification), or even as a private consultant. There are many options when an education degree is earned. Visit our Preschool Teacher Career Page to learn more about becoming a preschool teacher. Learn more about an Bachelor's Degree in Early Childhood Education. The average length to complete a master's program when attending full time is 2 to 3 years or 4 to 6 semesters. Some colleges offer an accelerated program to those already teaching. A master's degree will typically cost around $500 per credit hour, though this will vary greatly for online, face to face, and different college programs. Those with a Master's Degree in Early Childhood Education can become preschool directors, Head Start directors, teachers or directors for private child care, or in many cases - birth to three coordinators. Many people chose to partner this degree with teacher certification in order to become an elementary school teacher. Learn more about an Master's Degree in Early Childhood Education. A Doctorate in Early Childhood Education typically require proof of a master's degree with experience in the field, reference letters, and a statement of purpose. If entering a program with a master's degree, the average length of time for completion is 3 to 5 years. Entering without a master's degree typically adds at least 1 year to any program. A Doctoral degree is highly respected, which means that any program you enter should be accredited. The purpose of gaining a doctorate is to provide proof of your knowledge and abilities, if attending an unaccredited program this may be impossible. A Doctorate in Early Childhood Education can lead to several career paths. A doctorate allows the holder to be an early childhood education specialist, a professor, a preschool director, or a day care director. Average tuition for a Doctorate in Early Childhood Education is approximately $500 to 1,000 per credit hour. This cost varies greatly from school to school. Learn more about a PhD in Early Childhood Education. An early childhood education specialist is a preschool teacher for ages birth to kindergarten. This person will be responsible for implementing a given curricula, while assessing students to ensure developmental milestones are being met. Starting salary is approximately $30,000 with room for growth with experience. A center director is often in charge of hiring, choosing and maintaining a curriculum, while forming partnerships with students, families, educators, and community members. The Bureau of Labor Statistics has some more good information on Preschool and Childcare Center Directors. An early childhood specialist with a master's degree could hold a job as a grant writer. Though the number of jobs is limited, it is growing at a slight rate. This job would require writing grants for organizations needing funding or additional monies. The special education teacher will work with young children with exceptional needs using a specialized curricula. Job growth in this area is steady as more children are attending preschool. Special education is a challenging and rewarding field. Jobs tend to be plentiful. Schooling to earn an early childhood education degree can be rather costly. It's a good idea to be aware of the different scholarships and grants available to those who study early childhood education. The Applegate-Jackson-Parks Future Teacher Scholarship is a $1,000 scholarship and it is awarded every year. To apply, you must be a graduate or undergraduate student in an accredited college or university (United States). Applicants will also need to complete the application form in its entirety, submit a copy of your most recent transcript, and submit a 500 word essay on the "Right to Work" principle as it applies to educators. If you are interested in becoming a Montessori teacher with Montessori training, the Teacher Education Scholarships for aspiring Montessori teachers could be right for you. Entrants are considered on the basis of a compelling personal statement, financial need, and 3 letters of recommendation. Applicants must also provide official verification of acceptance into an AMS-affiliated program. The Bright Futures Scholarship program supports students in the field of early childhood education by offering to provide financial assistance to those who wish to become early childhood teachers. Applicants should be enrolled in an associate's, bachelor's, or master's program at an accredited university or college in the US. You may read more on the eligibility requirements by visiting the official scholarship page. There are many more scholarships available, including Teacher.org's annual scholarship. Visit our Scholarships and Grants page for a more detailed list. 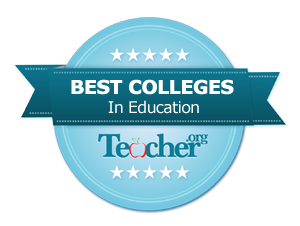 We are happy to release our Teacher.org's Best Colleges for Early Childhood Education rankings. This list was compiled by scoring several areas including, relative size of the program, graduation rates, default rates, tuition affordability, and online education options availability. More information about each college listed is available by clicking on the web address provided. Over 425 colleges were analyzed and the top 20 were included in our Best Colleges Ranking. Deemed the fourth largest university in the area of metropolitan Philadelphia, West Chester University of Pennsylvania is a public, comprehensive institution with undergraduate programs that actively engage students to transfer learned skills to the world in which they live and work. WCU's Bachelor of Science in Education in Early Grades Preparation is designed to provide a general background in education, an understanding of children's social, emotional, and developmental milestones, as well as providing candidates with the skills and confidence required to guide and teach them. Learn more by visiting the college website at wcupa.edu. Located in the borough of Brooklyn, New York, CUNY Brooklyn College provides an outstanding undergraduate program in early childhood education. With an emphasis on art education in the early education classroom, the program prepares student for a future of working with young children who are discovering the world around them. CUNY students graduate with a keen understanding of how they affect and shape the children in their care every day. Learn more by visiting the college website at brooklyn.cuny.edu. Bloomsburg University of Pennsylvania ranks in the top schools in the northeast. With small classes and a faculty to student ratio of 20:1, Bloomsburg University prepares and inspires students to become dynamic and confident leaders. Their Bachelors of Science in Early Childhood Education offers the opportunity to develop knowledge of the nature of the child and their learning process while building a strong foundation of subject knowledge in order to become an effective teacher of students from pre K to grade 4. Learn more by visiting the college website at bloomu.edu. Georgia College and State University is Georgia's designated public liberal arts university. Offering an expansive undergraduate educational experience, Georgia College's Bachelor of Science in Early Childhood Education offers a field based approach to learning the theory and practice associated with child learning and development. Students are paired with mentor leaders and offered opportunities to collaborate with their peers for a well-rounded learning experience. Learn more by visiting the college website at gcsu.edu. Found on the eastern shore of Maryland, Salisbury University offers an acclaimed Bachelor of Science degree in Early Childhood Education. Meeting both state and national standards, the program focuses on the knowledge, skills, and dispositions that are critical for today's teachers to promote student success, as well as the cognitive and emotional milestones that mark children's developmental phases. Learn more by visiting the college website at salisbury.edu. Located in southern Pennsylvania, Shippensburg University provides its students with small classroom sizes for a more personalized learning experience. Graduates of the Bachelors of Science degree in Special Education and Early Childhood Education become eligible to teach in preschool through eighth grade classrooms. Students are given the opportunity to apply their knowledge with children and professionals in various educational settings. Learn more by visiting the college website at ship.edu. Adjacent to the borough of Kutztown, Kutztown University of Pennsylvania offers outstanding academic programs in education. With an emphasis on field based experiences and current research and theory, a Bachelor of Science in Elementary Education from Kutztown University enables successful candidates to teach classes from pre-kindergarten through grade 4 or from grade 4 to 8 with emphasis on child development, cognition and learning, assessment and pedagogy. Learn more by visiting the college website at kutztown.edu. The University of Dayton is a renowned Catholic, Marianist research institution located on the banks of the Great Miami River in southwest Ohio. With a faculty to student ratio of 14:1, students receive a personalized and hands-on education while completing their Bachelor of Science in Early Childhood Education. Successful candidates are streamed toward field placement and licensure, and enables candidates to teach pre-kindergarten through grade three. Learn more by visiting the college website at udayton.edu. Located in the town of Menomonie, Wisconsin, the University of Wisconsin-Stout is a proud polytechnic university. 98% of the school's Bachelor of Science in Early Childhood Education graduates are currently employed or pursuing graduate degrees. The program, which includes 250 hours of practicum experience, can be expanded to include special education learning or education of grades four to six in addition to the scope of the ECE degree program. 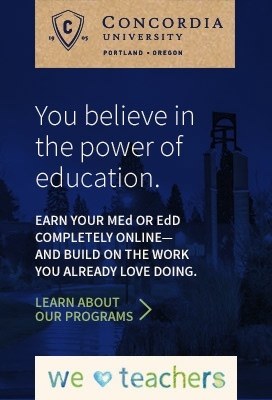 Learn more by visiting the college website at uwstout.edu. Originally founded as a teacher's college, Millersville University of Pennsylvania is located in the Lancaster, Pennsylvania area. It is one of the most highly regarded public universities in its region and is ranked in the top ten public universities in the north. Millersville University's Bachelor of Science in Early Childhood Education can be completed in eight semesters and is recognized by the state for certification to teach grades pre-kindergarten through four. Successful students may apply for a Pennsylvania Instructional I teaching certificate. Learn more by visiting the college website at millersville.edu. Just eight miles north of Baltimore, Towson University is amongst the largest of public universities in Maryland. Founded on the understanding that teaching preschool and primary grades requires special skills and knowledge, the school's Bachelor of Science in Early Childhood Education degree program leads successful candidates to the Maryland State Certification, qualifying graduates to teach children from birth to grade three. Learn more by visiting the college website at towson.edu. The multi-campus University of North Georgia offers a Bachelor of Science in Early Childhood Education program. The program is flexible, and available on a part-time basis; requirements include 120 hours of field work. Compliant with both state and national requirements, the successful graduate will be certified to teach preschool through grade five as well as know how to build and sustain positive school relationships with families, caregivers and other community partners. Learn more by visiting the college website at ung.catalog.acalog.com. The University of Alabama at Birmingham, an internationally recognized doctoral research university, is located in central Alabama. With classes taught by nationally renowned professors and offered on weekends, during the summer, and partially online, UAB's Bachelor of Science in Early Childhood Education will prepare candidates for a career as a highly qualified teacher by focusing on theory and classroom practical skills regarding child development, reading, primary math methods, pedagogy, classroom management, and other key concepts. Learn more by visiting the college website at uab.edu. As the largest university in the state, South Dakota State University offers a nationally accredited Bachelors of Science degree in Education and Human Sciences with a specialization in Early Childhood Education. The program prepares professionals to work in educational settings with children and their families and as part of Head Start, preschool programs, as well to own or work in a variety of child care centers. Learn more by visiting the college website at sdstate.edu. Located in the southernmost part of Georgia, Valdosta State University offers a flexible, convenient, and modern approach to teaching. With courses offered both on-campus and online, the state-accredited Bachelor of Science in Education with a major in Early Childhood Education gives students the opportunity to match educational theory with practice through courses that are supported by structured field experiences. Learn more by visiting the college website at valdosta.edu. Located in metropolitan Los Angeles, California State University-Los Angeles has one of the most diverse student population in the nation. CSU Los Angeles offers a Bachelor of Arts in Child Development which will help prepare the student to obtain California State credentials to teach grades from kindergarten to eight. Learn more by visiting the college website at calstatela.edu. Well known for its highly regarded education programs and for its one-on-one attention to students from faculty members, Armstrong State University is situated on the Atlantic coast of Savannah, Georgia. Armstrong students enrolled in the university's Bachelor of Science in Early Childhood gain valuable field placement and internship experience in local schools, and emerge from the program ready to endorse Common Core Georgia performance standards, identify and prevent early learning difficulties, and support community efforts to improve elementary school education. Successful completion of the degree program will lead to state accreditation to teach pre-kindergarten through grade five. Learn more by visiting the college website at armstrong.edu. As an integral part of the University of Tennessee System, the University of Tennessee-Chattanooga offers an accredited Bachelor of Science degree in Early Childhood Education Pre-K-3, coupled with additional endorsement in Special Education Early Childhood PreK-3. With such topics as Oral Language and Early Literacy Development, and Young Exceptional Learners' Characteristics and Needs, pre-service teachers enter their practicum and licensure with an understanding of the inclusive classroom environment. Learn more by visiting the college website at utc.edu. Founded in 1889, Slippery Rock University is a member of Pennsylvania's State System of Higher Education and offers a Bachelor's degree in Early Childhood Education. Through observation, theory, research, and practical placement, SRU students will become confident teachers and leaders of children from pre-kindergarten to grade 4. Students may also choose to pair their studies with a minor in exceptionalities, Spanish or arts in order to further enrich today's inclusive classroom environment. Learn more by visiting the college website at sru.edu. Arkansas State University's School of Teacher Education and Leadership offers the Early Childhood Education Bachelor of Science program to those individuals who wish to work with young children. With multiple field placements and strong mentorship, students graduate prepared to work with children from pre-kindergarten to grade 4 in a variety of settings, with a firm foundation in child development and best practices for student guidance. Learn more by visiting the college website at astate.edu.